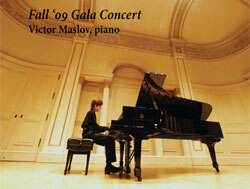 The first event of the season, our Fall ’09 Gala Concert took place on October 24, 2009 at the Weill Recital Hall at Carnegie Hall and included a special performance by Victor Maslov. Concluded its debut, with 1st place winners of our international vocal competition performing at the Weill Recital Hall at Carnegie Hall and 2nd place winners performing at the Dicapo Opera Theatre Concert Hall. Two winner of the competition were invited to represent the AFAF at Vladimir Spivakov’s International Festival – “Moscow Meets Friends” in June, 2010. 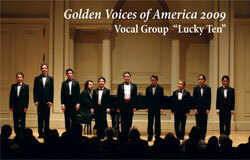 Took place, as always, during the months of May and June, with multiple concerts throughout New York City. The celebrated Moscow Kremlin Male Choral Ensemble “Blagovest” was the headliner of our Carnegie Hall concert on June 13, 2010.